New in paperback. This time-travel romantic series, filled with suspense and thrills, has been called "'Doctor Who' in a YA Package" by MTV Hollywood Crush. The Hourglass is a secret organization focused on the study of manipulating time, and its members -- many of them teenagers -- have uncanny abilities to make time work for them in mysterious ways. Inherent in these powers is a responsibility to take great care, because altering one small moment can have devastating consequences for the past, present, and future. 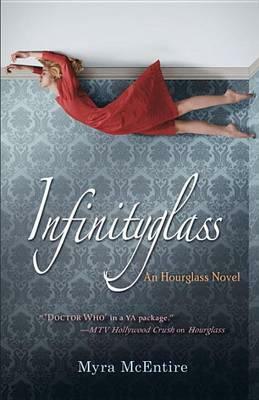 Now that the future has been violated and changed, the Hourglass must restore it, but to do that, they need the mysterious Infinityglass. And now they know that they are not searching for an object, but for a girl: a headstrong, hot-tempered ballet dancer who might not want to help them. You may visit with Myra McEntire at www.myramcentire.com or follow her on Twitter @MyraMcEntire. "Available in hardcover (ISBN 978160684441) and electronic (ISBN 9781606844427) book formats." "an enjoyable, fast read ...Teen romance with, as Dr. Who (one of those pop-culture referents) might say, some 'timey-wimey stuff' makes for good fun." --"Kirkus Reviews"
"The switch in perspective . . . keeps the series fresh . . . The pacing of the plot will keep teens engaged from cover to cover." --"School Library Journal"
"Em is an entertainingly cheeky narrator and appealingly resilient heroine . . . McEntire deftly juggles plot, characters and dialogue; her portrait of grief is particularly poignant." --"Kirkus Reviews"
Myra McEntire knows the words to every R&B hit of the last decade, but since she lives in Nashville, the country music capital of America, her lyrical talents go sadly unappreciated. She's chosen, instead, to channel her "mad word skills" into creating stories. She's an avid "Doctor Who" fan and will argue passionately about which incarnation is the best. She lives in TN with her family. The author lives in Nashville, TN.